“HEWALE” is a complete healthcare management system that covers all aspects of the Hospital and Patient Management which comprises of Hospital Management System (HMS) and Virtual Private Healthcare called “HEWALE” Social Health System. Face to Face Video and Audio Interaction with Doctors and Specialize Physicians at your place of convenience whilst your medical needs is Addressed. The time taken to do each consultation in Hewale is quick. Any user who has knowledge about operations of Hospital can start using Hewale Social Health in no time. It is also available in cloud which has enormous advantage of being up-to-date with all security features and upgrades. The backups are automated so there is no worry of losing any data. "Hewale" system is one of the numerous solutions developed by ORCONS SYSTEMS LIMITED. It covers all aspects of management and operations of small, medium and large health institutions. It enables healthcare providers to improve their operational effectiveness, reduce cost, reduce medical errors, enhance delivery of quality health care and effective communication between health practitioners and patients. 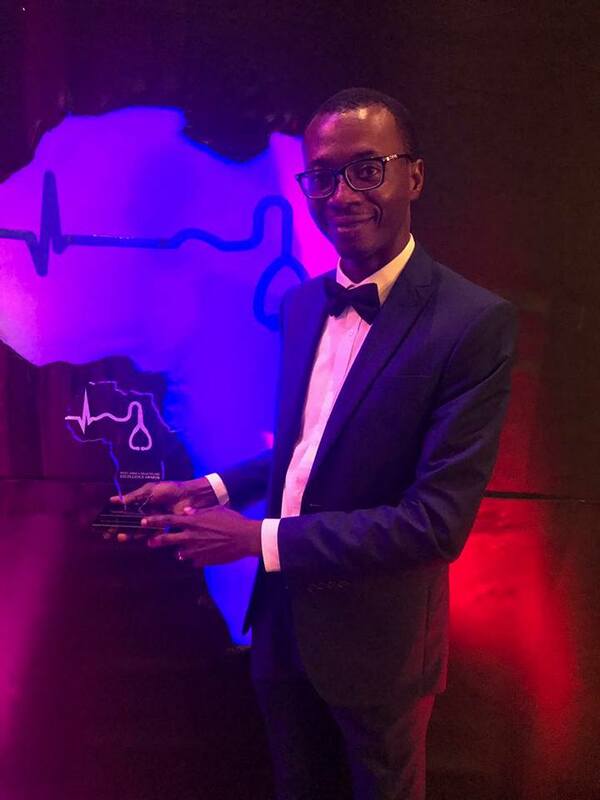 “Hewale” Social Health App enables patients seek consultation with a certified physician anywhere, and at any time. The certified physician can operate a virtual clinic any day, from any location both from his/her personal computer or mobile device. The private laboratories, vitals posts and private pharmacies are not left out as they can register online and provide their services to the patients. 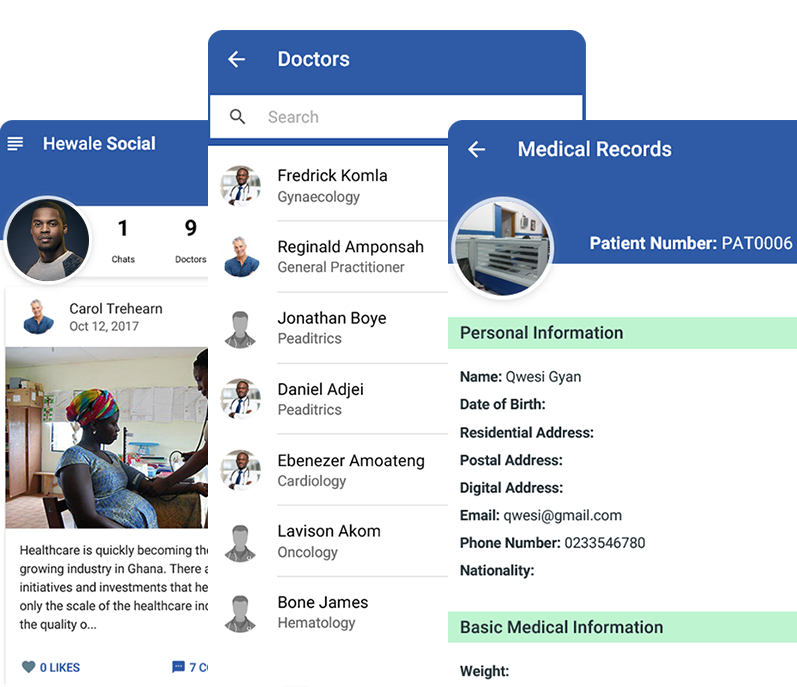 Download “Hewale” Social Health mobile App and have access to numerous doctors and specialist online waiting to attend to your health needs without your presence at the Hospital/Clinic. Hewale Hospital Management System is a complete web based application software designed to help in facilitation of the hospital key operational functions of the entire medical set up. It enables the free and easy flow of information regarding patients, doctors, staff, and hospital administration. Select through a list of Pharmacies to make drug Request,Pharmacy Prescription linked to Courier Service etc. Medical Laboratory is crucial to the entire system as patients could be referred to a laboratory by the doctor. We have a list of Laboratory available for the Patients via the application software on their mobile phone. The system would allow such Patient to make the choice of the nearest laboratory to him/her. Placing the pharmacy delivery orders has never been so simple. Using the app you get access to courier services to deliver your drugs at your place of convenience. Just order your drugs and get them Delivered. This allows Pateints to Request Consultation Services with their preferred Doctor,Ability to request Pharmacy services for drugs purchases and Courier Services to deliver Drugs to Patients. 1. 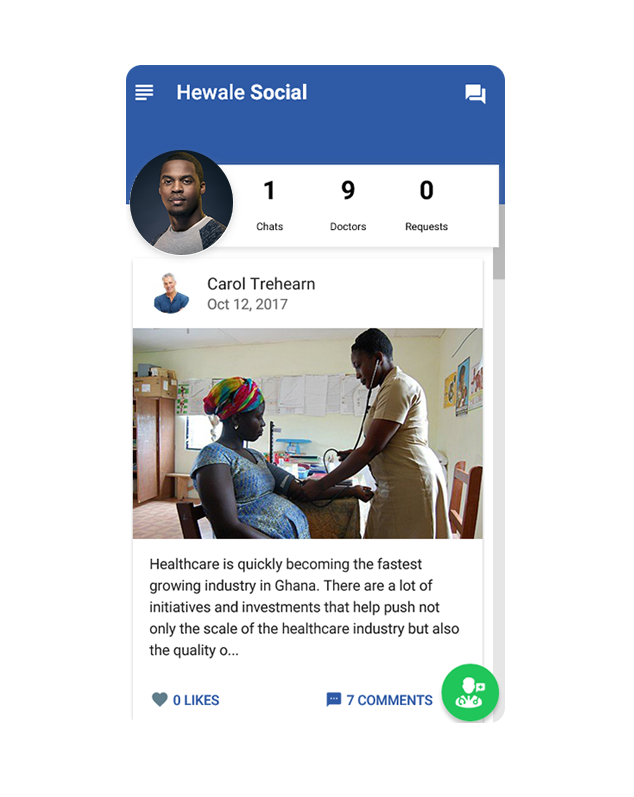 How Do I Download the Hewale Social Health App? Download on Google Playstore for free. 2. How Do I set Up A Virtual Visit? Virtual visits are a great way to talk with a doctor, get a diagnosis and even get prescriptions online. 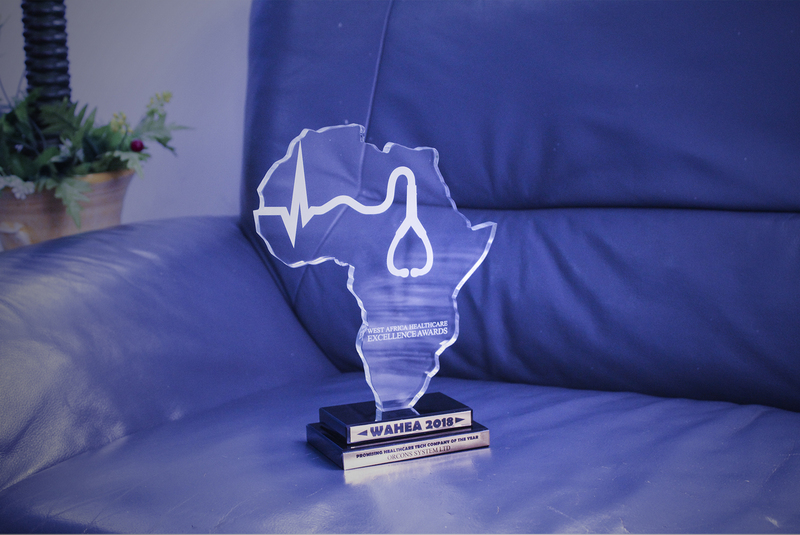 To start; open Hewale App and log in to your account to consult a Doctor. you will find the list of online doctors, select any of the doctors of your choice. 3. 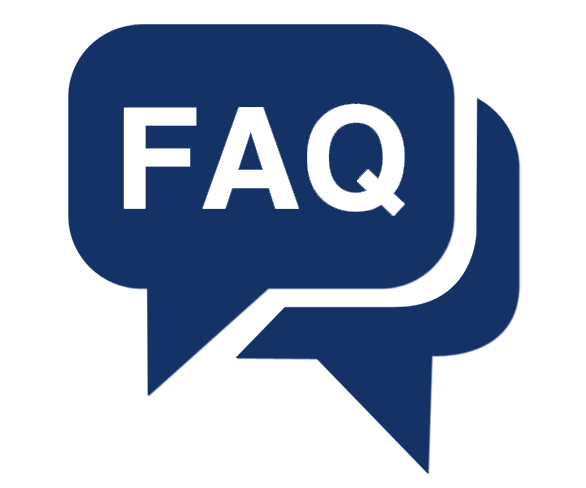 How can I find a doctor, pharmacy or courier service? 4. Does Hewale Social Health App support my phone? Hewale Social Health App supports most IOs and Android devices that run Android 4.1 and higher. Please make sure that you have Google PlayStore on your phone. 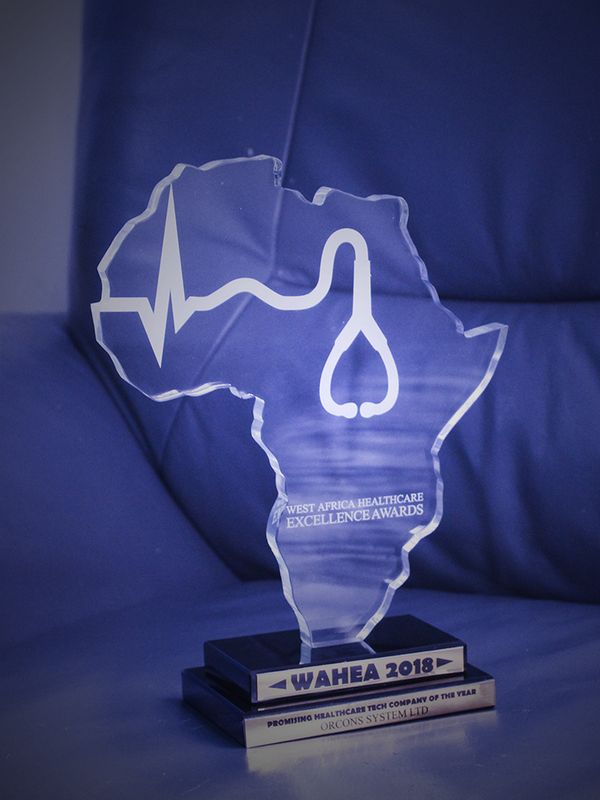 Following thorough evaluation of the healthcare industry in the West African sub-Sahara region for the period of one year, WAHEA came up with this uncontestable award program. 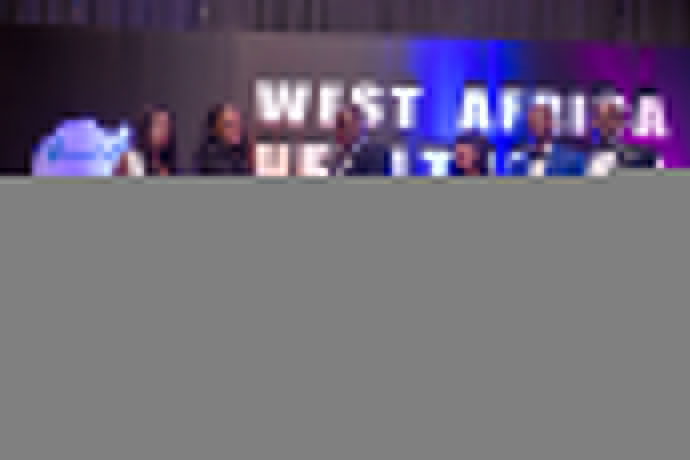 The award ceremony took place at the Movenpick Ambassador Hotel in Accra last week. 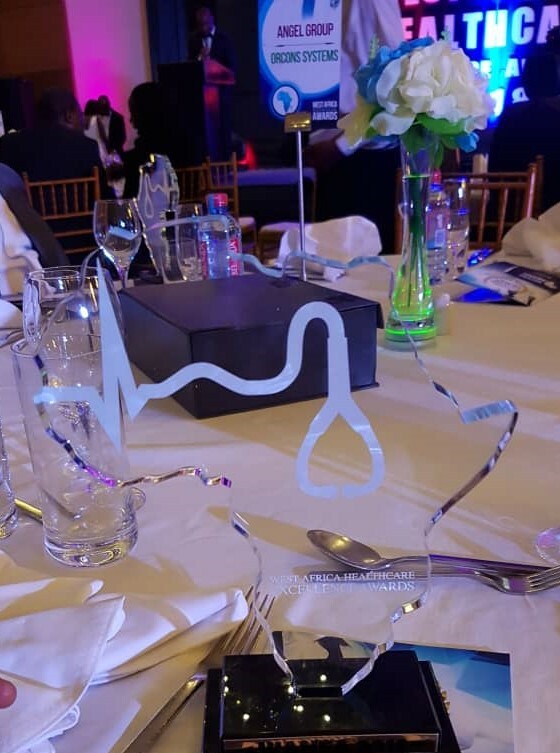 According to Mr Yaw Baah Dankyi, Product and Sales Manager at Orcons System Limited, ‘Hewale’ was grateful to the award committee and board of WAHEA for the recognition. 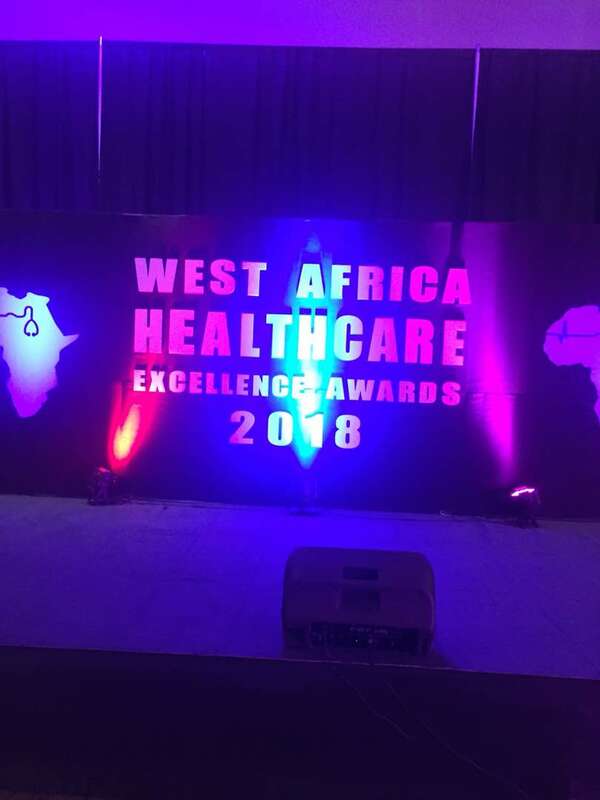 The award, which took place at the Movenpick Ambassador Hotel, recognized other healthcare industrial giants after a thorough evaluation of the healthcare industry in the West African sub-Sahara region. ©2018 Orcons Systems Limited. All right reserved.